Isco scored a hat-trick as Sampaoli's Argentina capitulated at the Wanda Metropolitano. Diego Costa, Thiago, and Aspas also scored, as did Otamendi. Isco scored a hat-trick at the Wanda Metropolitano as Spain turned in an insatiable performance to comdemn Argentina to their worst defeat since 2009. Lionel Messi watched from the stands as Diego Costa opened the scoring after 12 minutes. Isco doubled the hosts' lead shortly before the half-hour mark, but Nicolás Otamendi reduced the deficit soon after with a header that David De Gea should have managed to save. After the break, Spain improved and Argentina capitulated in equal measure. Isco and Thiago scored a quickfire double at the start of the second period. A further 20 minutes passed before Spain struck again, this time Aspas and Isco scoring in rapid succession. The match crumbled in to a series of niggly fouls as the final whistle drew closer. Messi did not watch until the end, instead deciding to slope inside with minutes remaining. Julen Lopetegui has tuned his side at the perfect time. 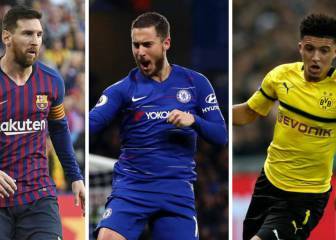 The World Cup is less than three months away and Spain look like ominous contenders. For Jorge Sampaoli, a torrid evening in Madrid posed more questions than answers. Isco hat-trick, Argentina second-half collapse, positivity for Spain and a great deal for Jorge Sampaoli to mull over. 89' Pavón absolutely cleans out Koke, and is rightly booked. Sergio Ramos is also booked for shoving Pavón. Handbags ensue. 88' Well, you don't see that often. Carvajal completely scuffs a free-kick in his own half, failing to get it off the ground, and Argentina come forward. 86' Straight in to the wall. 86' Marcos Alonso clatters Lautaro Martínez, and Sampaoli's side will have a pop from 25 yards. 84' Marcos Acuña battles well in the corner, forcing Koke to concede a corner. No bother for Spain, as they nod the delivery clear. Both sides look about ready for the final whistle now. 84' Marcos Acuña replaces Giovani Lo Celso. 83' Lopetegui gestures to his bench. Dani Parejo replaces Thiago. 82' Meza loses his rag and goes in studs-up on Carvajal. He's rightly booked. 79' Marcos Alonso comes on to become the third generation of his family to represent Spain. Jordi Alba (sporting achievements of father and grandfather unknown) goes off. 78' Spain are pushing for a seventh, and pushing hard. Asensio lashes a shot just over the bar. 76' And with that, Isco takes his leave. Lucas Vázquez trots on for his Real Madrid team-mate. 74' GOOOOOL! Another one! Isco intercepts the ball in the Argentina half and plays it to Aspas. The Celta forward charges in to the box and cuts it back to the Isco. He places it in the corner for his hat-trick. 73' GOOOOOOOL! Aspas! You could sail an ocean liner through the gap in Argentina's defence. Aspas nips through, beats Caballero to it, and slots it home from just outside tbe box. 71' Piqué lopes off, with Azpilicueta on in his place. The Barça man gets a fair amount of applause from the Wanda, and it drowns out the whistles. 70' Tagliafico clatters Iago Aspas and receives a stern word from Anthony Taylor. That would have been a second booking in a competetive fixture. 70' Piqué turns away from trouble superbly. De Gea placed him in a pickle on the edge of his own box. 69' A.N. Other niggly foul, and Argentina swing it back in to the box. There's no Otamendi in the picture this time and the home side clear. 68' Tagliafico and Isco both go in to the book after a coming together followed by a mild episode of handbags. 66' Another free-kick for Argentina. Lo Celso chips it to Otamendi, who nods it down and on to the post! De Dea slides across but can only watch is it bobbles away. Otamendi steams in to meet the follow-up delivery but can't make clean contact. 64' Lo Celso out-foxes Thiago on the corner of the box. Lo Celso shoots left-footed, and it's no trouble for De Gea, who watches it sail over his bar. 62' Twochanges for Argentina: Pablo Pérez and Gabriel Mercado replace Banega and Bustos. 61' GOOOO..... No! Sergio Ramos stabs the ball in to the net at the far post, but the referee had already penalised Piqué for a shove on Tagliafico. 60' Nicolas Otamendi fells Jordi Alba between the corner flag and the box, giving Spain the chance to whip a ball in. 59' Another change for Argentina. Widely-coveted Lautaro Martínez replaces Higuaín. 56' Argentina also make a change: Cristian Pavón is on for Mascherano, who was exposed in midfield. 56' Saúl comes on, with Andrés Iniesta retiring to the bench. 55' GOOOOOOOL! Another! Thiago! The No.10 starts the move with a ball out to Isco on the right. He lays it across the centre, Aspas touches it on, and Thiago leathers it in to the corner. 52' GOOOOOOOL! Isco again! Iago Aspas races off the shoulder of Marcos Rojo to meet a through ball. He takes it past Cabellero, has a quick look up, and rolls it to Isco who shoots in at the near post. 50' Tagliafico is involved again. The recent arrival at Ajax - who recently spoke in the media about reading Jonathan Wilson's excellent book on football tactics: 'Inverting the Pyramid' - bombs down the left and slides the ball forward in to the path of Higuaín. Sergio Ramos beats him to it and averts the danger. 48' Banega tries to dink the ball over to Tagliafico, who is loitering to the left of the action. There's too much on the pass and it skids out for a goal kick. 47' Thiago chops down Lo Celso in a central position, giving Ever Banega the chance to test De Gea from 30 yards. 46' Julen Lopetegui has swapped goalscorer Diego Costa for Iago Aspas at the break. 46' Gonzalo Higuaín gets the second half underway! Isco and Asensio have been marvellous for Spain. Argentina look leaky in defensive, but have knitted some nice stuff together. Diego Costa and Isco put Spain ahead after Higuaín missed a superb early chance. A lapse in concentration from David De Gea allowed Nicolas Otamendi to reduce the deficit to one goal. 45'+1' Otamendi ends the half in style with an emphatic diving header on the edge of his own box. 'One for the cameras'. 44' A slack pass from Thiago gifts Argentina possession in the Spain half. Luckily for the Bayern midfielder, the away side are equally slack and immediately return the ball. 41' Using nothing more than feigned body movements, Isco leaves Bustos on his bottom. The Real Madrid man then waddles in to the box and tries to work a shooting angle. Otamendi blocks his shot to end a lovely solo move. 39' GOOOOOOOOOOOOOOL! Argentina are back in it courtesy of Nicolas Otamendi! He nods Banega's towards the corner and De Gea lets it slip through his fingers in to the corner. 38' Diego Costa slips on th edge of the box, meaning Spain's momentum crumbles. Argentina bomb forward down the left until Carvajal ends Tagliafico's run in abrupt, agricultural fashion. 35' Piqué appears to have hurt his perpetually troublesome knee while attempting to flick the ball with the outside of his boot. He winces and bends down on his haunches, but it looks like he'll run it off. 33' Giovani Lo Celso strides through the centre and towards the box after a neat exchange of passes in the centre circle. He's expecting runners to his left and right, but nobody appears and he toe-pokes the ball towards goal. No problem for David De Gea. 32' I just inflicted the commentator's curse on Meza, who impressed me with a penetrative run, before scuffing the much-maligned Telstar when it came back to him on the edge of the box. 29' Argentina look lively in attack, but utterly, utterly porous in defence. Both goals have been largely self-inflicted. There's not a lot Lionel Messi can do about that. 27' GOOOOOOL! Isco! Willy Caballero gives the ball away cheaply from a goal-kick, Asensio squares the ball for Isco, and he tucks the ball in to the corner. 26' Alba meets Isco's glanced header at the far post and smashes it high in to the stands. 25' Oooh, Argentina are close to an equaliser. Meza does a quick give-and-go with Lo Celso and bursts in to the box. He's just about to prod it past De Gea, but Ramos just about denies him. 22' Argentina are forced in to a change: Sergio Romero hasn't recovered from that early clash with Costa, and Willy Caballero takes his place. He's now Chelsea's reserve 'keeper, rather than Manchester City's... a summer transfer that absolutely nobody noticed. 19' Mascherano releases Meza with a rasping 40-yard pass that finds its intended target deep inside the box. Meza takes it down with his shoulder, swivels, and lays it off to Higuáin, who scuffs it in to De Gea's arms. 18' Otamendi meets a devilish, inswinging corner from Banega at the near post. He glances it on, but it thuds in to a Spanish defender and the hosts scramble clear. Argentina are on top at the moment. 17' Fabricio Bustos surrenders possession meekly on the touchline, allowing Alba to thread the ball in to the box. Mascherano positions himself astutely and prods the ball back to his goalkeeper to clear. Bustos and Meza look slightly off the pace, which isn't surprising given the relatively poor quality of the Argentine league. 15' Both Argentine substitute 'keepers are warming up. It seems Romero was hurt in that collision as well. 12' GOOOOOOL! Diego Costa! The Atlético striker bustles around outside the box, forcing Lo Celse in to an error. He races on to Asensio's through-ball and thunders it past Romero. He's in pain after colliding with a combination of Bustos and Romero, but he should be able to roll his sock up and continue. 8' Oh, Higuaín! Argentina break forward with a glorious, incisive move that started by their own corner flag. 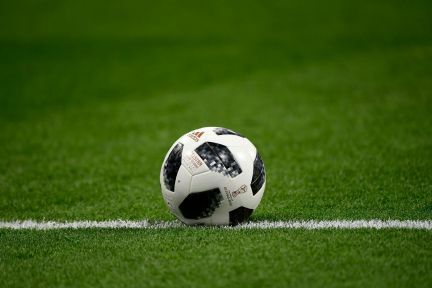 Meza ends up with the ball on the left and crosses for Higuaín, who manages to shrug off Ramos but scuffs the ball in to the ground and watches aghast as it bounces over from six yards. 6' Sampaoli has got Argentina lined up in a 4-2-3-1, with Cholo Simeone watching on from the stands. Mascherano and Biglia are the two holding players, with Meza, Banega, and Lo Celso floating around behind the striker. The visitors are making a clear effort to build play from the back, with the two centre-halves almost on the goal-line when Romero takes his goal kicks. 4' Higuaín rides a couple of challenges but is halted by Piqué. It looked like a clean tackle, but Anthony Taylor puts his whistle to his lips and Ever Banega takes aim from 30 yards. The Sevilla man shapes to cross before going for goal and knocking it out for a goal kick. 2' Spain foray forward through Marco Asensio on the left. He slides the ball inside to Isco, who continues for a few strides before squaring it in to the six-yard box. Sergio Romero reads the situation and dives out. Meanwhile, Piqué is whistled by the crowd and the Pope does indeed remain Catholic. 1' Spain get this show on the road! Englishman Anthony Taylor is the referee this evening. Mascherano and Ramos are the two captains. The old Barça and Madrid adversaries shake hands in the centre. And now the home side belt out their anthem, which has no lyrics, but a lot of 'lo, lo, lo' at various pitches followed by a collective growl of 'VAMOS' upon completion. National anthem time. 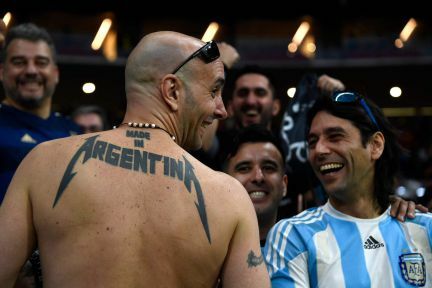 Argentina are up first: "Hear, mortals, the sacred cry: "Freedom! Freedom! Freedom! "/ Hear the sound of broken chains/ See noble equality enthroned." Useful if this chap ever forgets his passport. Ten minutes till kick-off and there's already an extravagant lights show in the Wanda Metropolitano. The official World Cup ball - the Telstar - will be used tonight. It's a new World Cup ball, so naturally, goalkeepers are queuing up to claim it's too light/heavy/round. 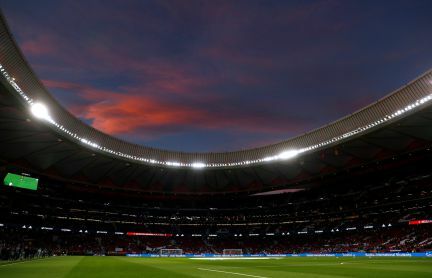 The Wanda Metropolitano - the 60th Spanish stadium to host the Spain national team. Argentina ran out 4-1 winners the last time these teams met, which was in a friendly in Buenos Aires in September 2010. Messi, Higuaín, Tévez, and Agüero scored for the Albiceleste, with Fernando Llorente finding the net for the then-World Cup holders. Banega, Mascherano, and Higuaín are the members of that Argentina team that are back in action eight years later. Piqué and Iniesta are the sole Spanish survivors. Independiente pair Fabricio Bustos and Maximiliano Meza are both in Sampaoli's line-up. Here's the low-down on them from doyen of all things Independiente - Peter Coates. In another rather enticing friendly, Germany are taking on Brazil in Berlin. That kicks off 45 minutes before Spain vs Argentina, and you can follow it here with my highly esteemed colleague Mr William Allen. 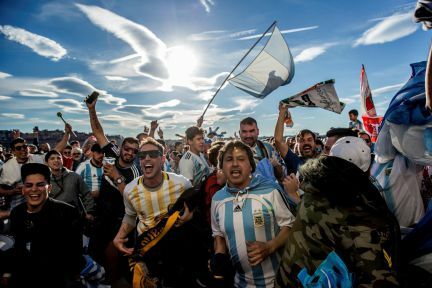 It's fair to say the 10,000 or so Argentina supporters are generating a lively atmosphere. They arranged to meet outside Canillejas metro station at 19:00 before strolling down the stadium. Gallons of Fernet and Coke were consumed, no doubt. Buenas noches! Hello from Madrid, where Spain are taking on Argentina at the Wanda Metropolitano in the pick of tonight's international friendlies. Here's a handy guide on how and where to watch.